Brewers Description: Fat Yak first impresses with its golden colour, distinctive, hop driven, fruity and herbaceous aromas, giving characteristic passionfruit and melon notes, followed by a whack of hop flavour at the finish. The taste is refreshingly clean on the palate. 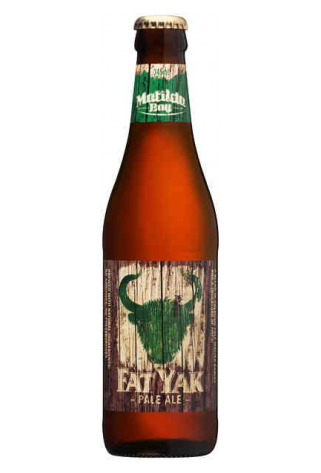 Fat Yak is engineered in the Garage Brewery from natural ingredients, including premium malts, American Cascade hops and a hint of New Zealand Nelson Sauvin hops. Enjoy any time of year. This is a bloody great drop and one which many have been searching for. It is simply a bloody tasty beer, It’s combination of flavours hit the spot just right (not too hard and not too soft) try it by the Slab, not by the 6-pack… trust me. This Pale ale has a nice amber colour to it, with a good head. It smells citrusy and hoppy. It Tastes sweet with floral hops and a citrus-fruity twist to it, It doesn’t have a very strong bitterness to it but enough to balance out the sweetness. I found it refreshing and drinkable without being exceptional. I would drink it again.